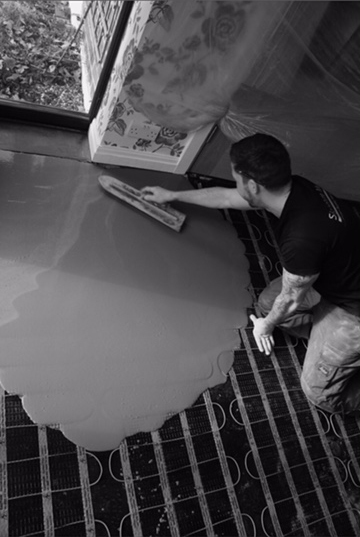 I’m Dean Brooker, the owner of Signature Me and I have been in the flooring business since the start of my working career. I have a wealth of experience in every type of floor there is, which means I can use this knowledge to ensure you get the flooring which best meets your requirements. I have a team of highly trained flooring specialists working with me so you always receive a first class service with Signature Me. This high level of service is incredibly important to me and has resulted in many of our customers coming back to us again and again for their new flooring when they move house or to new business premises. The team and I know that having new flooring fitting is a big undertaking for anyone and can make an incredible difference to your home or business. So, with every job we do, we visit you to measure and assess the area to be fitted. You can ask questions and use our experience and recommendations to ensure you make the right decision. If you are looking for carpets, solid or engineered wood floors, vinyl or luxury vinyl tiles such as Amtico or Karndean then Signature Me can help. We supply flooring from the whole of the market and this means you will have the best choice available. You can be sure the flooring you choose will meet your requirements as we will advise you on the perfect flooring for your room and your budget. When the team come to fit your flooring they will ensure the process is stress free and easy for you. The floor will be fitted to the highest standard and any old flooring will be removed and disposed of. If it can be recycled then we will ensure this happens. Once the team have finished they will leave your home or business clean and tidy with a fantastic new floor. If you would like to experience the Signature Me difference, we will bring our mobile showroom to you. You can then see all the samples where you are having the flooring fitted. We can make recommendations for you based on your requirements and answer all your questions to ensure we can provide you with a quotation that meets your needs. Contact us on 01342 885 385 to arrange your appointment.